Since the start of the global recession in 2007, doubts have been expressed as to whether African economies can weather the storm, and the impact the recession could have on the continent’s infrastructure development and growth. 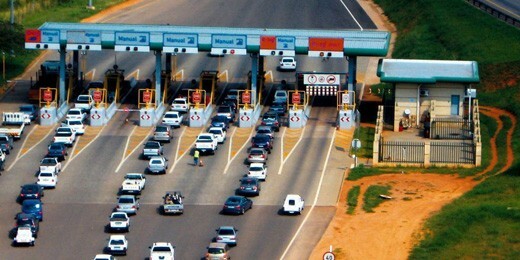 Whilst several African countries, especially those economies that are driven by petro-dollar, have been able to continue the expansion of their pre-recession infrastructure development programmes through massive borrowing, others have been less fortunate and less certain. And it is this uncertainty throughout most of Africa, that analysts believe to be holding back the high levels of foreign investment, which many had expected in support of the agriculture, tourism, fisheries, and manufacturing sectors. Africa needs to break the cycle of under-investment caused by decades of bad governance, low skills, poor education levels, and bad politics. According to the World Bank, it is estimated that the continent would need over US$75 billion per annum over the next ten years, in order to begin to address some of its most desperate infrastructure requirements – including operation and maintenance costs. Africa is not short of ideas and strategic plans as to how to spend money. What it is short of, are reliable investors and partners that are willing to put their money where their mouth is and be prepared for the long haul. And in Lagos, preparations are underway for a major summit, Which will bring together policy makers, politicians, business leaders and academics from across the continent to discuss Africa’s investment needs and priorities. Cynics may understandably argue, that the continent is awash with volumes of similar summit reports, gathering dust on ministerial shelves, which have made no difference whatsoever to peoples’ lives. So what is different about this summit? According to the Africa Finance Corporation (AFC) – an African led multilateral development financial institution, whose mission it says is “to improve African economies by proactively developing and financing infrastructure assets”, this Summit, titled; ‘AFC Live: Bridging the Infrastructure Divide’, responds to the need to open a dialogue to address the scale of Africa’s infrastructure requirements and its investment deficit. The Summit will take place on 25th March, 2014, at the Eko Hotel in Lagos, Nigeria. The impressive list of keynote speakers lined up for the summit, include; Jim O’Neill – economist and former Chairman of Goldman Sachs Asset Management, best known for coining the ‘BRIC’ and ‘MINT’ acronyms; Dr. Ngozi Okonjo-Iweala – Nigeria’s Coordinating Minister of Finance and Economy; Professor Chinedu Nebo – Nigeria’s Minister of Power; Patrick Achi – Minister of Economic Infrastructure, Côte d’Ivoire; Cristina Duarte – Minister of Finance, Cape Verde; Jim Yong Cai – Executive Vice President and CEO of International Finance Corporation; Tony Elumelu – Chairman of Heirs Holdings; Diana Layfield – CEO Africa, Standard Chartered Bank; Dr. Nkosana Moyo – Mandela Institute for Development Studies; and Funke Opeke – CEO Main One. Commenting on the importance of the Summit, Bayo Ogunlesi – Chairman of AFC, said that:“The summit is a key opportunity to for a broad range of stakeholders, from national governments to the indigenous and international private sector and donor partners, to contribute to the development of constructive solutions to the deficit in infrastructure investment in Africa which continues to hold back economic growth on the continent. Discussions are expected to focus around the need for Africa to take the lead in bridging the massive investment divide, through innovative, joined up and holistic approach to accessing international capital. Economist – Jim O’Neill, said: “I am delighted to be participating in the AFC’s inaugural summit which promises to address an important agenda. If Africa is to reach its potential as the home to some of the fastest-growing economies in the world, then infrastructure will play a vital role in making that happen. Delegates will in particular, look forward to lively debates across key issues, including; ‘Building the New Africa – action plan for the next decade’; power sector; transport sector; and natural resources. 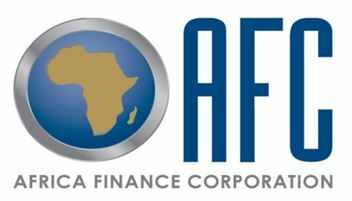 • AFC (http://www.africafc.org) is an African-led multilateral development financial institution, established in 2007, whose mission is to improve African economies by proactively developing and financing infrastructure, industrial and financial assets. 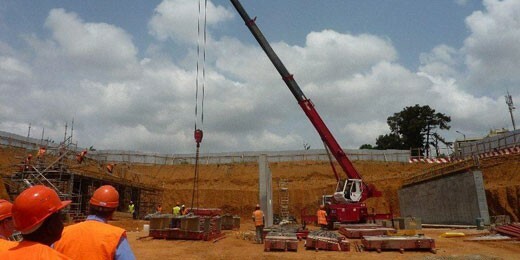 • AFC is also the lead investor in Cenpower Generation Company Limited (Cenpower), which is implementing the Kpone IPP project – a 340 megawatt combined cycle gas turbine power plant in Tema, Ghana. • The AFC has established partnerships with national, regional and international organizations and with sponsors that are active in the infrastructure space in Africa.